*Warning- this post contains spoilers for The Host! You know those books that you pick up with fairly low expectations? Those books that you read just because you like the author but aren't really that interested in the plot? Yeah, that was The Host for me. 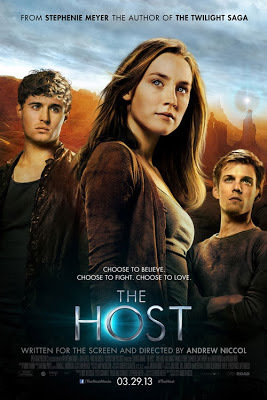 I was a fan of the Twilight books (books, not movies) so when Stephenie published The Host I read it even though I'm not a huge sci-fi fan. Luckily my low expectations were left in the dust. I was blown away by the book and it has become one of my all time books. When they announced that The Host was being made into a movie I was cautiously excited. As with all book to movie adaptations this could be an exceptional movie or it could be a huge disappointment. 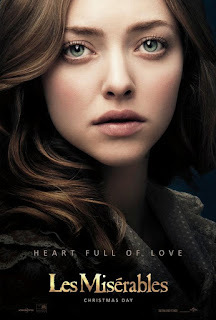 The fact that Andrew Niccol was writing the screenplay made me feel a little better. I'm may not be a huge sci-fi fan but Gattaca is one of the sci-fi movies that I really enjoyed. Today they released the first full length trailer for the movie. Max Irons is perfect as Jared! 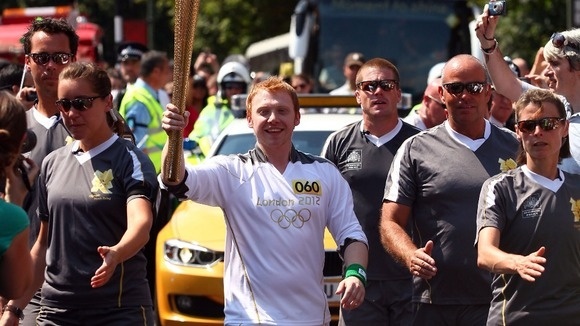 I'm not sure they could have cast anyone better. Saoirse Ronan looks great at Melanie. 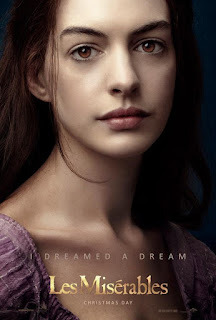 I've never seen any of her other movies but I have faith she can pull this off. The eyes. I know this is silly but I was worried that the silver eyes would look like horrible contact lenses. It looks like they must be adding the silver in as CGI afterwards- they look great. Diane Kruger as The Seeker. Oh my goodness!! She's going to be so good! The cave. Just the brief glimpse we got looks great. Melanie and Jared's chemistry- those two are going to set the screen on fire. The use of Radioactive by Imagine Dragons as the soundtrack for the trailer. That song is perfect for the story. I hope it is on the movie soundtrack. Honestly, I just have one really big concern- Ian. I'm trying really hard to get past the fact that Jake Abel doesn't look anything like Ian as he's described in the book. If we could just get more than a glimpse of him in the trailer I might feel better. I've been pondering why we haven't seen more of him in pictures or in this trailer. I've come up with a theory that may be completely wrong but for now it's what is keeping me hopeful about this movie. When Stephenie was doing press for The Host she said that there was a certain character that wouldn't be quiet. He demanded to be a bigger part of the story. She didn't reveal who that character was until after the book had been out for a while so she didn't spoil anything. That character was Ian. I was glad she hadn't said much about him before the book came out because he took me by surprise. He actually blindsided me with his complete 180 degree change in attitude toward Melanie/Wanderer. He made me ugly cry. And when I say ugly cry I mean - put the book down because I can't see the words anymore, tears and snot out of control - kind of cry. Ian and Wanderer's love story is what made me fall in love with this book. It's the reason I re-read The Host at least once a year. Oh goodness, I'm rambling. Ian is one of my all time favorite characters so I tend to do that where he is concerned. My point is that I'm hoping that the movie producers aren't showing us any Ian and Wanderer interaction so that people who haven't seen the movie can be as surprised by him as the readers were. I'm holding tight to that theory so that I can continue to be excited about this movie. I really, really, really hope I'm not disappointed in the end. I can't put my thoughts about this trailer into words quite yet. It brought me to tears. I have very high expectations of this movie. I have a feeling those expectations will be exceeded by leaps and bounds. 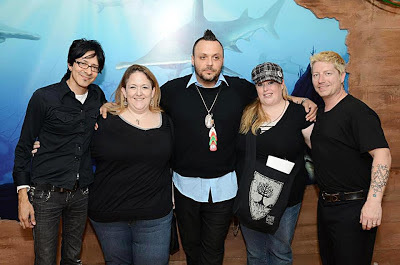 My favorite band, Blue October, was in Salt Lake on the 31st for a stop on their the quiet mind tour. The day started off with an acoustic show at The Living Planet Aquarium. The acoustic show was so cool!! It was hosted by a local radio station and there were only about 30 people there. 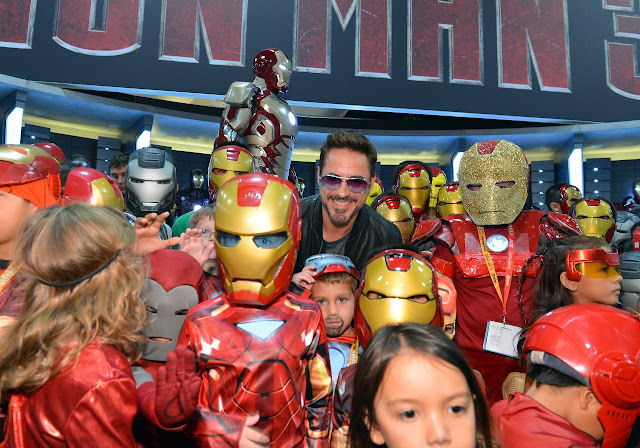 After they performed three songs they took pictures with everyone that was there. After the acoustic show we headed to the venue for a meet and greet that we had purchased tickets for. I know two meet and greets seems a bit much but I didn't know about the aquarium one until a couple of days before it happened and I had purchased the other one already. The show started with A Silent Film. I saw them when the opened for The Parlotones this summer so I was really excited that they were opening for this tour. They were even better this time around- I'm sure that is because I am familiar with their music now. The second band was Barcelona. I was unfamiliar with them but they were really good. They were in costume for most of the set but the lead singer finally had to take his raggedy andy wig off because of the heat. Sadly, I didn't get any good shots of them except this one. Finally Blue October took the stage. They were phenomenal as always. 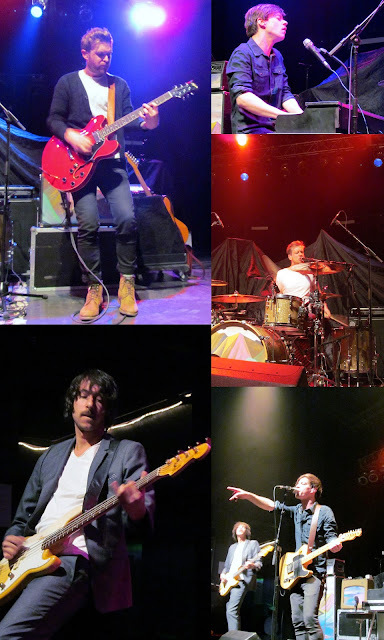 All of my pictures, including a copy of the set list, are here. Here's a crowd shot from the tour manager. 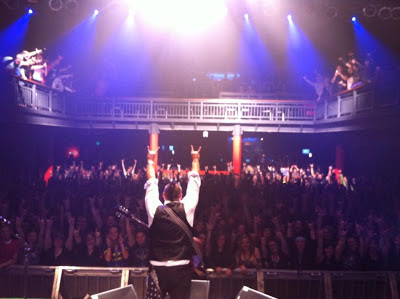 I'm right on the rail, which is the perfect place to experience a Blue October show. Can't wait until they come back!! 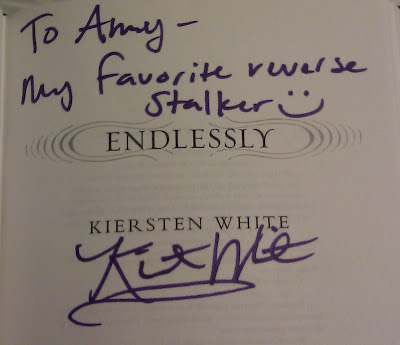 Last week I went to Maggie Stiefvater's book signing at The King's English Bookshop. I went into the signing knowing that Maggie is a brilliant writer and is witty and amusing on twitter but I had no clue how hysterical she is. 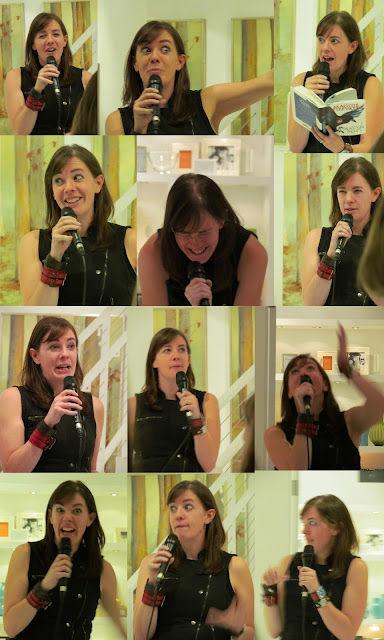 I spent the evening laughing out loud as Maggie talked about writing and researching her new book, The Raven Boys. There were tales of purchasing old, stinky shoes on eBay getting lost in the moors in England, hell hounds, hugs and more. 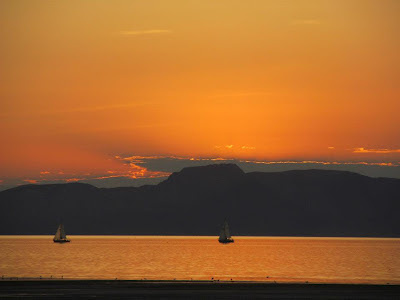 It was a fabulous evening!! I should have written this up earlier so I could remember exact quotes but school got in the way. 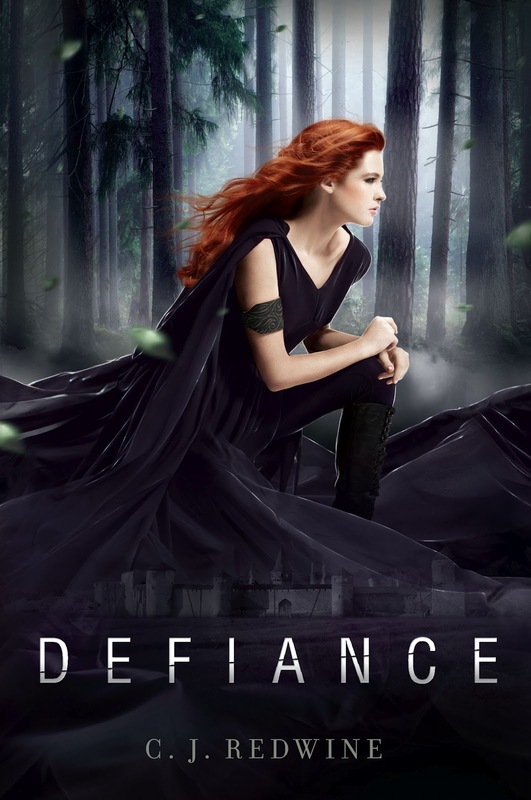 I do remember when she was asked about why she chose to write about werewolves that she said she doesn't think she does because "when they are wolves they are wolves with no human characteristic and when they are humans they are emo teenagers". I'm not the kind to countdown to Christmas. But with gifts like this arriving on Christmas Day I'm singing a different tune this year. Only 74 more days!! 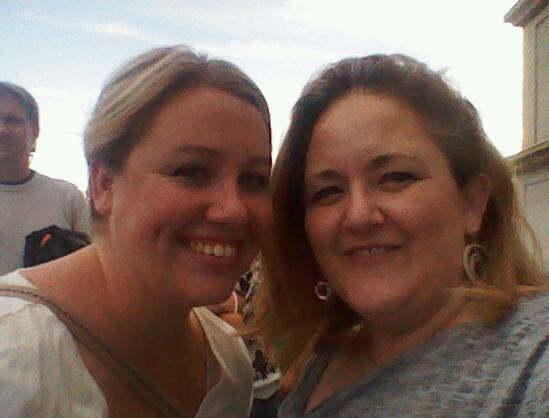 Last week my friend Miranda and I went to the Mumford and Sons concert in Salt Lake. We underestimated their popularity and only arrived an hour early to get in line. When we got in the line it was only around to the side of the building. By the time they opened the doors it made several loops through the parking lot. Because we got there as late as we did we didn't get very close to the stage but we still ended up with a good spot. The concert was outside and the back half of the lawn is on a incline so we were able to see the stage. 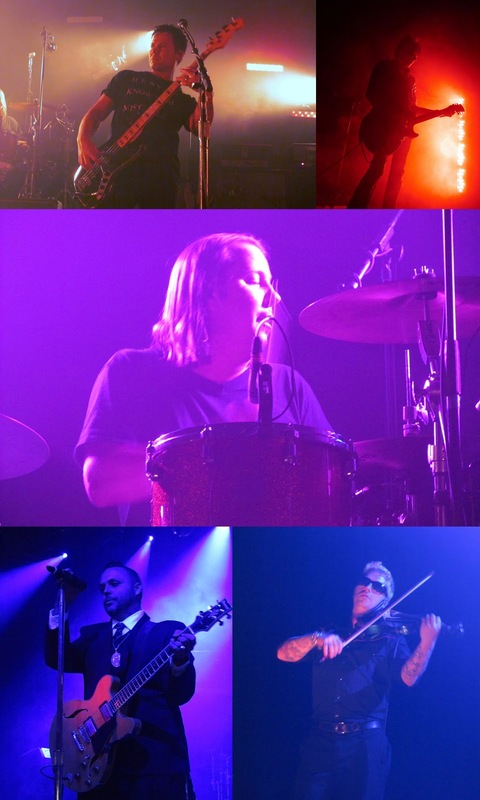 I wasn't a huge fan of the opening bands but Mother Nature made the wait worthwhile. This was the view from the venue. She was definitely showing off that night. After what seemed like forever Mumford and Sons took the stage. The entire crowd of 3,500 people was on their feet and the air felt electric. I'm always a little bit nervous to see a band live for the first time. I'm afraid they won't be as amazing live as they are on their albums. 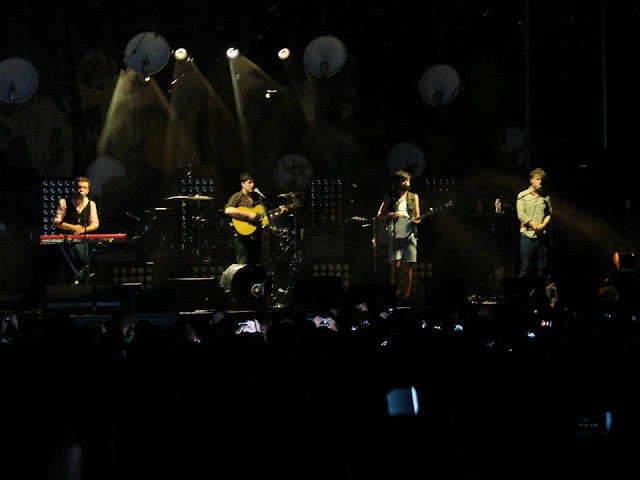 With Mumford and Sons my worries were in vain. I was blown away!! These guys are phenomenal live!!! There were several times that I found myself simply standing and staring at them on the stage. I was in awe. 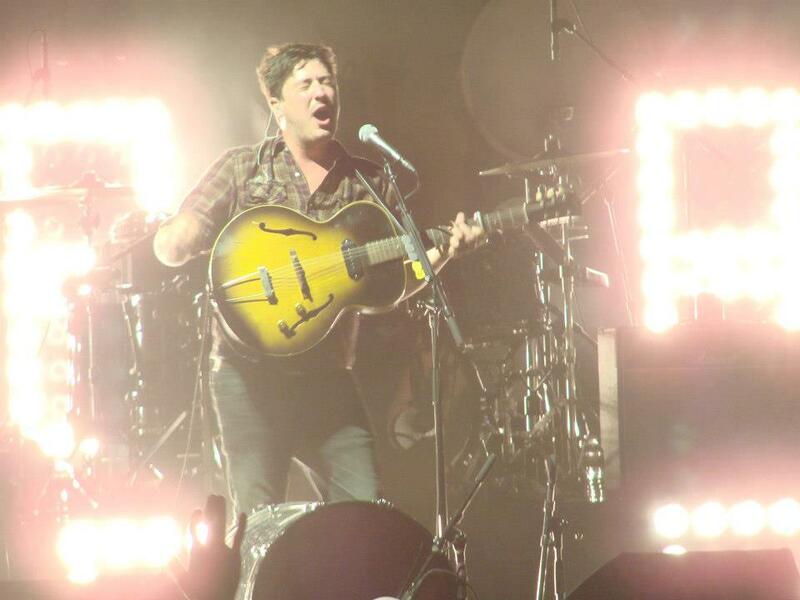 Marcus Mumford is a master storyteller. He and the rest of the band weave a tale that leaves the audience mesmerized. I can not put into words how unbelievably amazing they are. There isn't a lot of video from the show but I did find one of The Cave that kind of shows how good they were. I don't think it's possible to really capture the live experience. 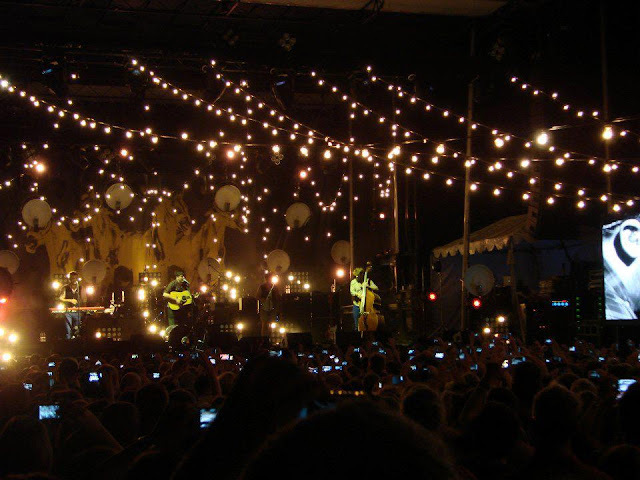 This picture amused me because it shows all the phones and cameras in the crowd. It was a spectacular night and I hope that they come back to Utah soon! *pictures of the concert stolen from Miranda because hers came out better than mine. I can't tell you how happy this makes me. I've watched it more times than I am willing to admit. 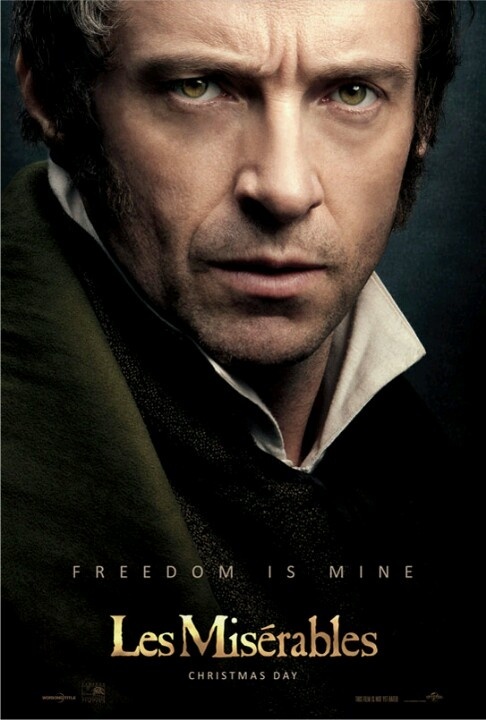 I need it to be September 25th so I can have my own copy of the movie to watch over and over again. These two new clips from season three of Downton Abbey are going to kill me! I can't believe we have to wait until January here!! Avoiding spoiler is going to be tricky. I think in order to maintain my fangirl integrity I may just have to move to England. 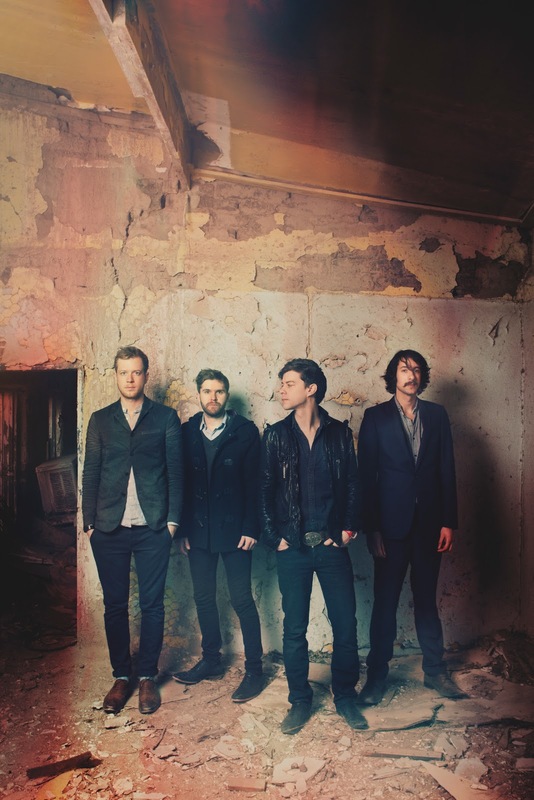 I wish I could figure out what it is about Mumford & Sons that draws me into their music. I'm not really a fan of country or bluegrass but I can not get enough of them. They have a new album coming out next month and they just released the first single, I Will Wait. It's been on repeat since I downloaded it. I love it! This makes me even more excited for their concert next week!! Anyone else getting giddy about the Summer Olympics?!?! 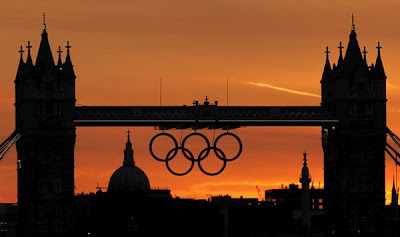 I'm not a sports fan except for when it's time for the Olympics. I'm not sure what it is exactly that draws me in. I think it's a combination of the athlete's inspiring stories and the team spirit that seems to be in the air. 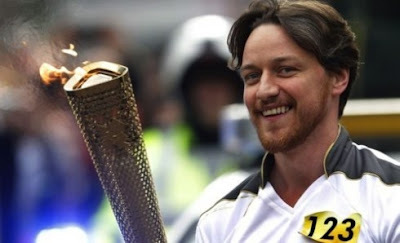 The London Olympics start in just 2 days and I'm already pinning pictures on Pinterest. (which I've decided is my new sign of an obsession. If I pin it, it's officially an obsession.) 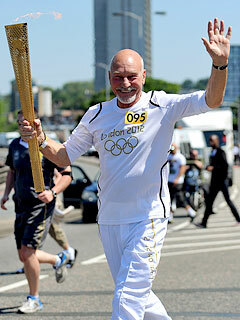 My favorites so far have been the celebrities that I admire who have carried the Olympic Torch. I also love this P&G commercial about the Moms of Olympians. It makes me cry and I'm not even a Mom. I'm sure it would be worse if I had kids. 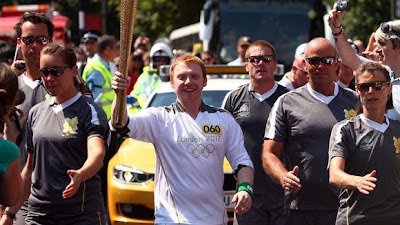 I'm sure I'll be back with another Olympic gushing post as the next three weeks go along. I'm so excited!! 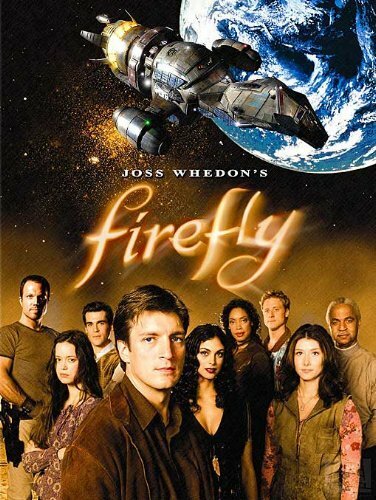 After I finished watching Castle the same friends that had recommended it to me told me that I needed to watch Firefly next. I was slightly hesitant because I'm not a huge Sci-Fi fan but I decided to trust their judgement and give it a try. I'm sure none of you will be surprised to learn that I fell in love with this show. 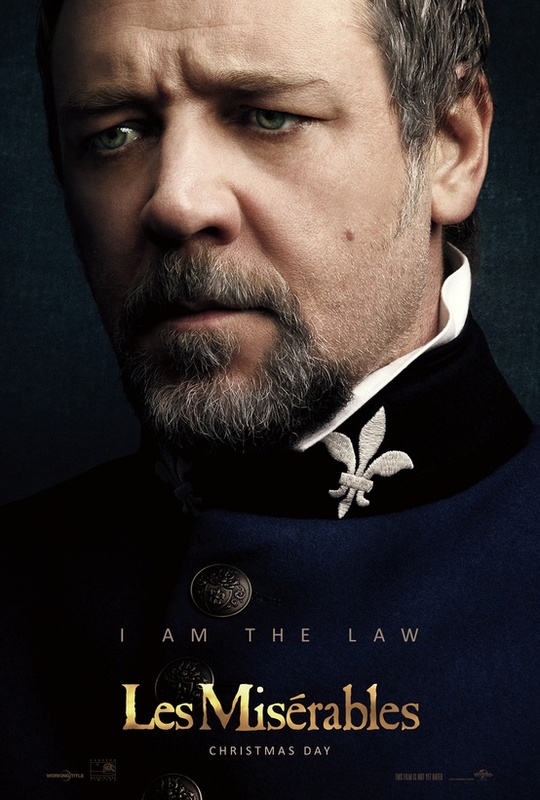 I devoured the 14 episodes and it's subsequent movie, Serenity in near record time. Joss Whedon. That's all that really needs to be said about that, right? The man is a genius. Even though it's set in space it's not really science fiction. There are no aliens, no laser guns and no hyper-speed. (Don't get me wrong, I love an occasional Star Wars marathon but in general I'm not a huge fan of movies involving aliens.) Firefly is really a good old fashioned western, it just happens to take place in space. The characters- oh my goodness! The crew of Firefly are all so wonderful in their individual ways. I love that none of them are one dimensional. Even the characters I don't really love I have to like just because they are so well written. I could easily write an individual blog post about each of these characters but that might be a little too obsessive. 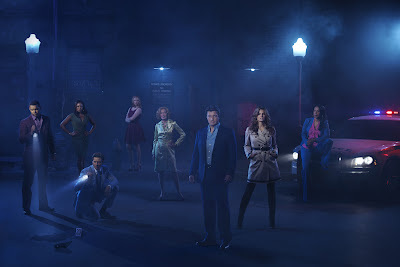 The cast- Nathan Fillion, Alan Tudyk, Gina Torres, Sean Maher, Jewel Staite, Summer Glau, Adam Baldwin, Morena Baccarin and Ron Glass are all stellar. 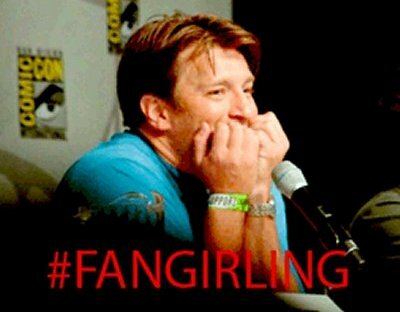 Before I started watching I was familiar with two of the cast (Nathan and Alan) but now I'm a fan of all of them and stalk them all on Twitter. The emotions. I grew up with a father who loves westerns so I've watched quite a few in my lifetime. 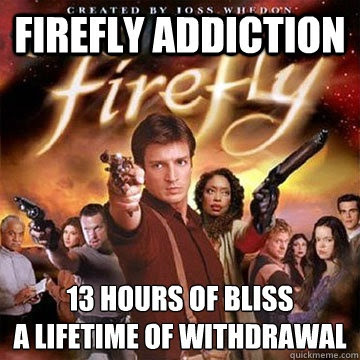 None of those shows and movies ever made me feel the way Firefly did. The combination of phenomenal writing and acting made me feel all the feelings possible while watching. I laughed, I cried (damn you, Joss Whedon!!!) I swore, and I swooned. Fan interaction- I think one of the things that has kept this fandom so loyal is because the cast has been such an active part of keeping it alive. 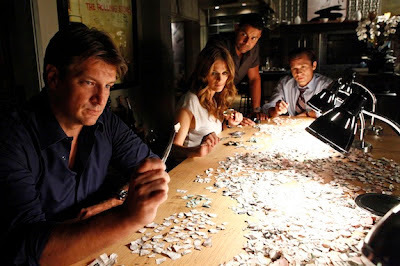 They go to conventions, they meet with fans, they tweet, they are very open about their love for the show. All of that encourages the fandom to remain loyal and to continue to spread the love. I know there are many,many more reasons to love Firefly. These are just the ones that I can name off the top of my head. If I go any further I may have to open up a Firefly fan page and there are already plenty of those. (I did start a Firefly board on Pinterest though.) I'm going to wrap up with a couple of my favorite clips from the show. There are a lot of moments with Malcolm Reynolds that I could post here. Nathan brings him to life brilliantly. This is one of my favorites because to me it's one of those moments that defines him and sets him apart as the captain of the ship. Zoe: You live in a space ship, dear. Here are just a couple of their songs. Check them out- you won't be sorry, I promise!! 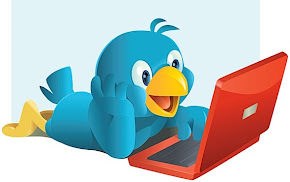 If you like what you hear you can get their music on iTunes and you can follow them on Twitter and Facebook. Several books that I'm looking forward to reading finally have covers and I'm amazed by each of them. 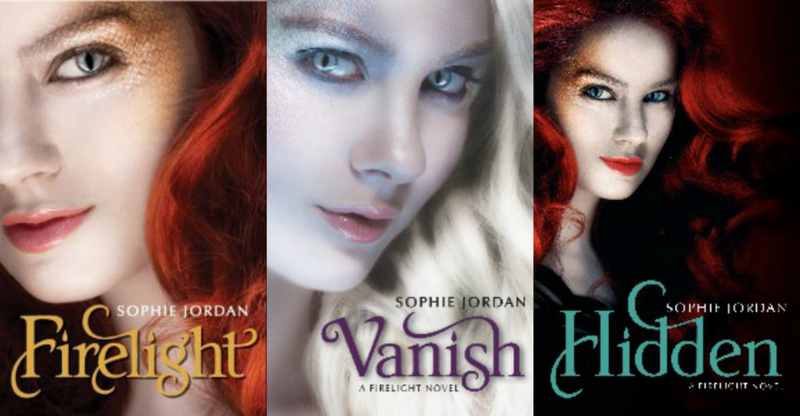 The sad thing is that none of these books come out until 2013. It's going to be a long wait until I can get my hands on them. 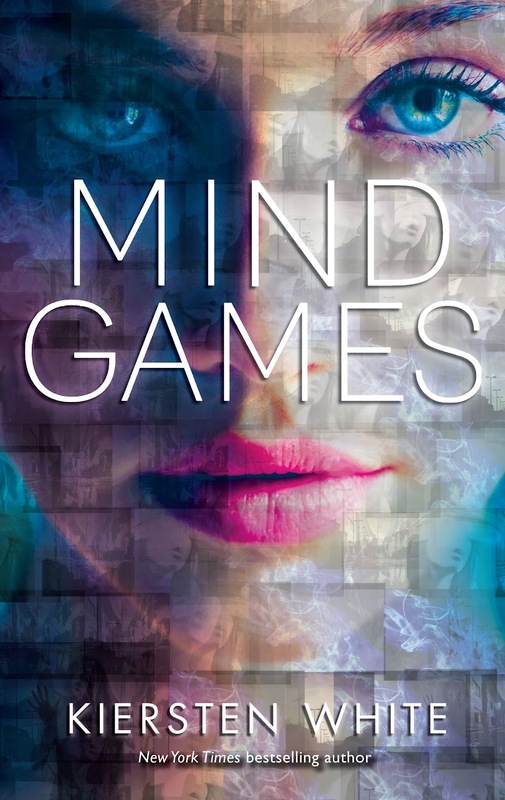 Mind Games by Kiersten White- I'm intrigued by this cover of a face made up of faces and the description- In a world where psychics and mind-readers are the ultimate tools in corporate espionage, two teen girls try to save themselves and their future. The Archived by Victoria Schwab- Victoria's The Near Witch was one of my favorite reads of 2011. 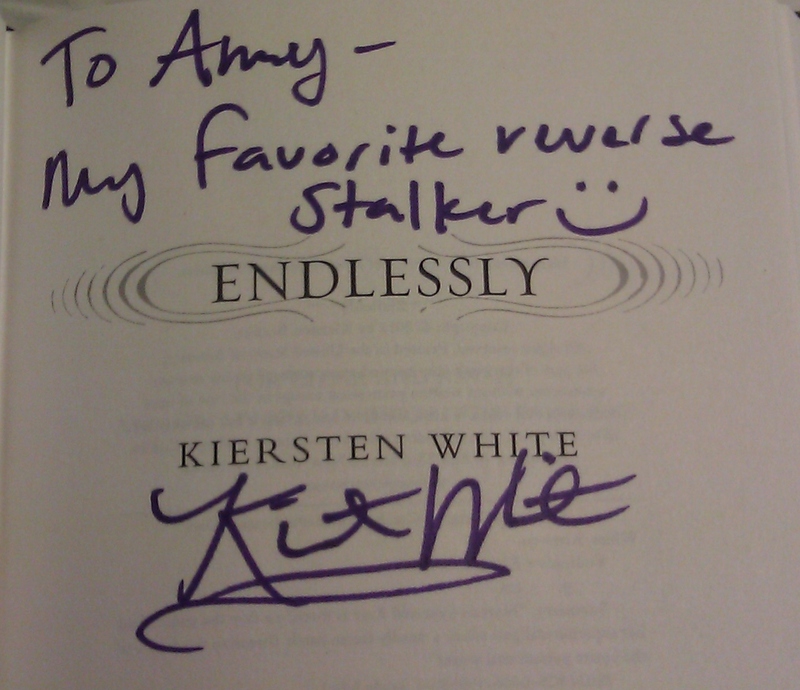 Her writing is beautiful so anything she writes will automatically go on my to-read list. 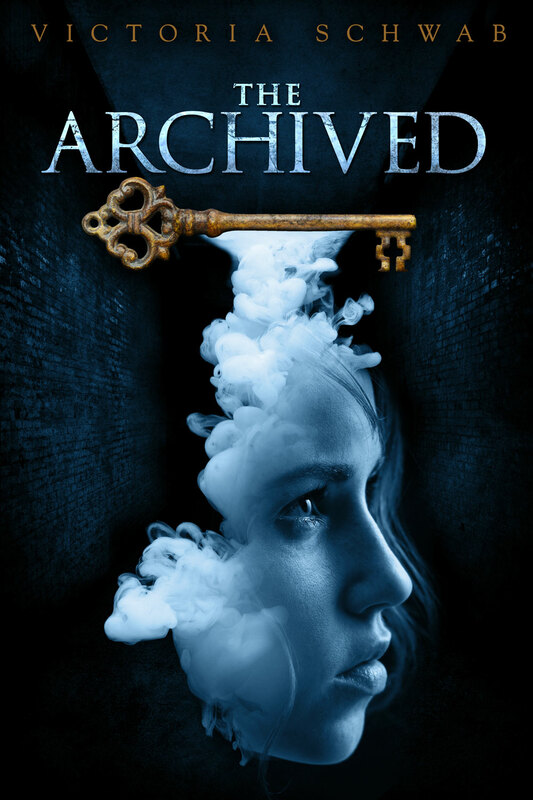 The Archived sounds fascinating and the cover is stunning. I can't wait to read it!! 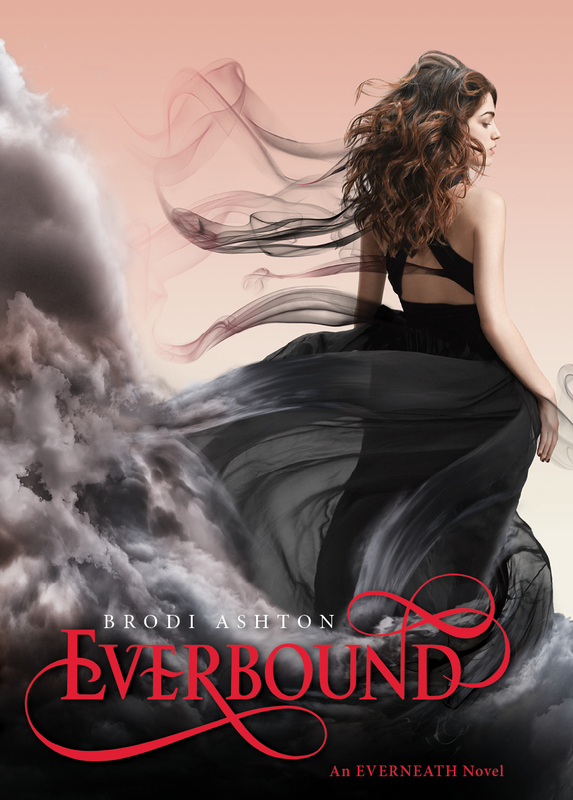 Everbound by Brodi Ashton- I was surprised how much I enjoyed Everneath (read my review here) so I'm really looking forward to its sequel. This cover rivals the gorgeousness of Everneath- I want a dress like that!! 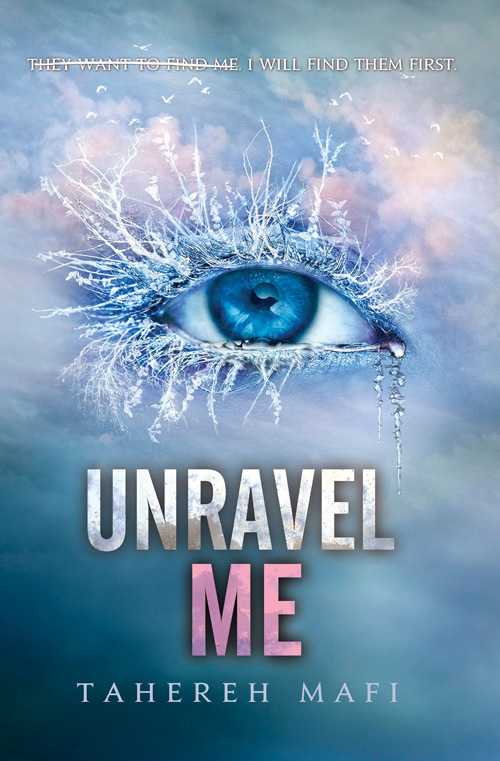 Unravel Me by Tahereh Mafi- I'm in awe of this cover. I don't even know what to say about it. All I can come up with WOWZA! 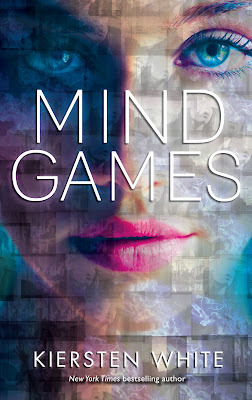 I thought the new cover of Shatter Me was stunning and would be hard to top but this one blows me away! The tag line "They want to find me. 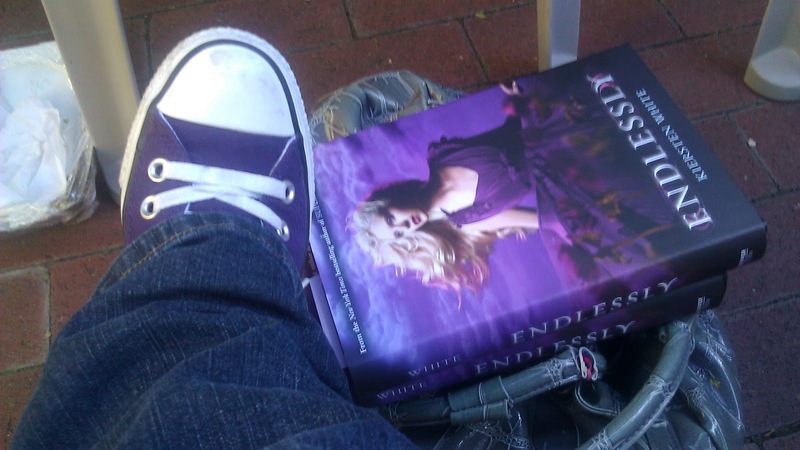 I will find them first" has me on pins and needles about what is going to happen in this book. 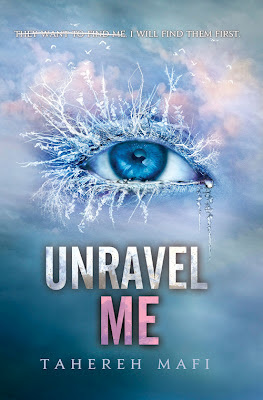 Shatter Me (my review) was an unexpected thrill ride- I'm sure this one will be too!